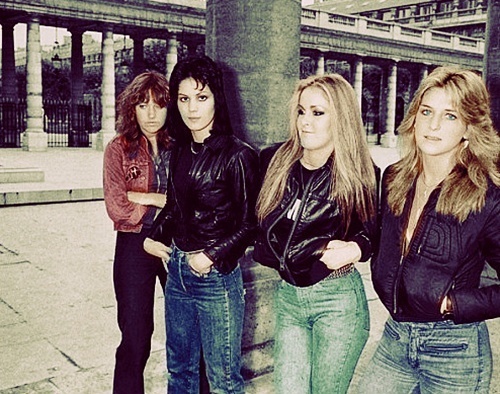 The Runaways in 1978. . Wallpaper and background images in the द रनअवेस club tagged: the runaways image sandy west joan jett lita ford vicki blue 1978. This द रनअवेस photo contains सड़क, शहर के दृश्य, शहरी सेटिंग, शहर दृश्य, शहरी की स्थापना, जीन, ब्लू जीन, डेनिम, नीले जीन, राह-चलता, कैरिजवे, and carriageway. There might also be लंबी पतलून, लंबे पैंट, लंबे पतलून, लंबी पैंट, पैंट लेग, pantleg, bellbottom पतलून, घंटी पैंदा, bellbottom पैंट, बेलबोटम पतलून, घंटी के नीचे, बेलबोटम पैंट, and बेल पैंदा.